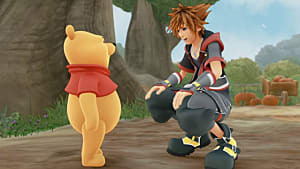 Gummi Ships have always been an important part of the Kingdom Hearts series, but Kingdom Hearts 3 takes it to another level. In this new entry, you have complete freedom to explore the space between worlds, and there are many battles to fight, treasures to find, and missions to complete during your Gummi Ship travels. This guide will explain the basics of Gummi Ship exploration, and it will outline the rewards you can get from doing it. When you're in the world map, you can choose a travel location. If you have been to the location before, you can warp there instantly, and, if it is a world, you can choose to land at any of the discovered save spots. Alternatively, if you have not previously visited a location, you can place a waypoint and explore on your way to the destination. There are a total of three areas to explore: Starlight Way, Misty Stream, and The Eclipse. You'll start in Starlight Way and unlock the other areas as you progress through the story. 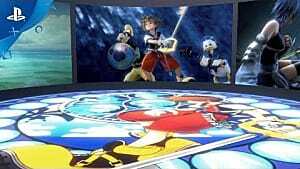 A Heartless icon means that there is a Heartless ship battle nearby. 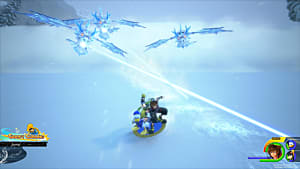 These battles work similarly to classic Gummi Ship levels in past games, and they come in three categories: Countdown, Speed Skirmish, and Boss Battles. 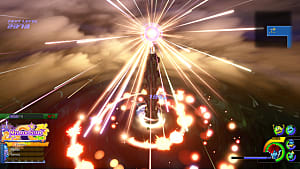 Countdown requires you to defeat a certain number of enemies before time runs out, Speed Skirmish requires you to defeat as many enemies as possible within a time limit, and Boss Battles are straightforward and only require you to defeat a boss. 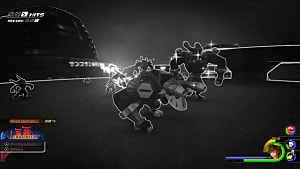 Each battle has a level indicated by a number of stars. The higher the star count, the harder the fight. You can also get ranks for completing each battle. A is the highest rank you can achieve, and ranks are determined by your score. You can increase your score by defeating more enemies, by finishing the fight more quickly, and by not taking damage. 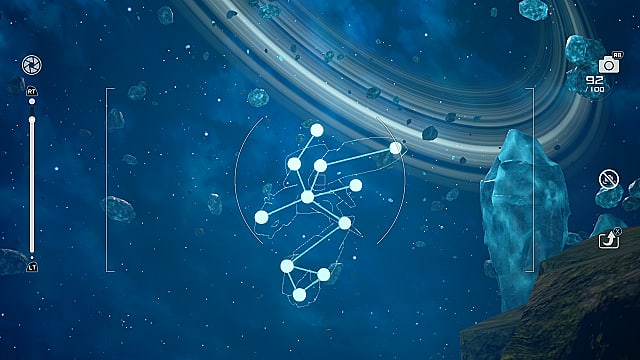 Taking pictures of Constellations grants you a special gummi ship. Special Gummi Ships can be used even if it goes over your limit, so these are great to have. You can find these by looking for the huge white dots while exploring. They will form a shape and if you take out your camera, you will see exactly what it looks like. A blue diamond icon means that you will find blue or pink crystals at its location. Blue crystals give you Gummi Ship parts while pink crystals give you pieces to the zone's special blueprints. 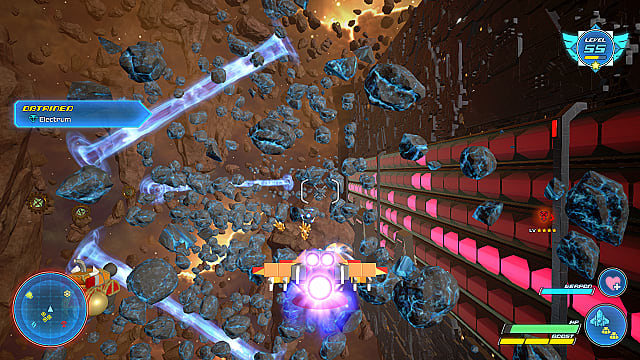 The yellow "+" icons on the mini-map indicate a boost ring or sphere. If you travel through one, you will get a burst of speed. These gold spheres have a lot of treasure inside, including Keyblade Forge materials. When you reach one, you must shoot the gears until they line up with the circuits in order to open the sphere. These rocks are scattered all around the areas. 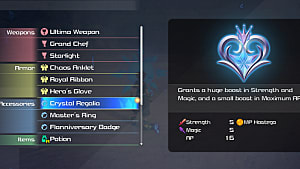 Shooting these rocks grants mostly Gummi parts, but you can also get crafting materials. 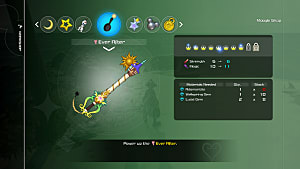 The biggest reason to shoot as many of them as possible is that they can contain Damascus and Electrum, which are needed for high level Keyblade upgrades. 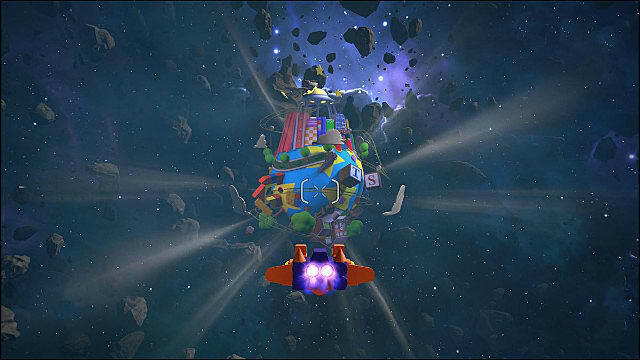 Each zone has 15 fragments that you can collect and combine to get a special+ Gummi Ship blueprint. You can get these fragments by destroying the pink crystals, so search all around the zone to find the blue diamond icon on your mini-map. 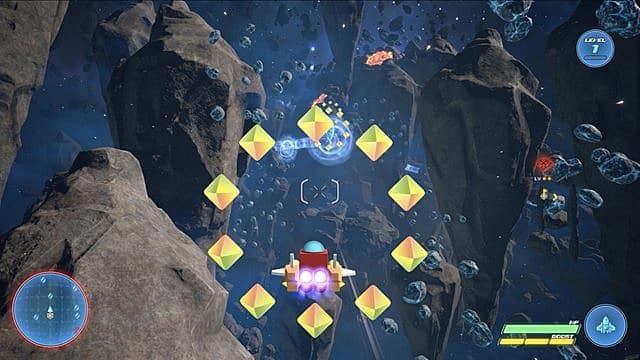 When you achieve a high rank in space battles, you will get treasure for that zone. At A-rank, you will get all the available rewards for that particular fight. You can view all the treasures available in each zone by pausing the game, then selecting Information. From there, you can select Treasures to see what you already have and what you can still get. You can also select Gummi Records to see which battles you've done and the rank you achieved for each. That's all you need to know to get started with your own Gummi Ship space adventures. 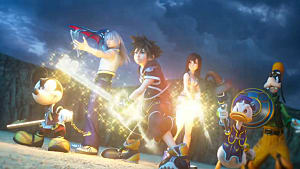 For more tips and information, please check out our other guides for Kingdom Hearts 3.